She recently turned 16. She speaks in gentle tones. She is humble. She is modest. And she is a little over five feet tall. But Malala Yousufazi is a giant among us all. Perhaps one of the greatest lessons the world has ever seen. It was a lesson in one girl’s will to survive and continue her campaign to get children everywhere, especially girls, into school. It was a lesson in how education triumphs over violence. It was a lesson in how the right to learn for every child must be upheld. And it was a lesson in how one person…one young girl…can inspire a global movement to create positive change. Yes. It was quite a lesson. For Malala, education is about global social justice for all…and how learning can free people from the shackles of poverty and the constraints of prejudice. How it can be a prescription for good health and prosperity. And how it enables children to grow up to be better global citizens: respectful… tolerant… forgiving… compassionate. We heard about these values in Malala’s speech to the UN in July when she forgave the Taliban who shot her. What grace. What dignity. What generosity of spirit. And what a powerful example to us all. 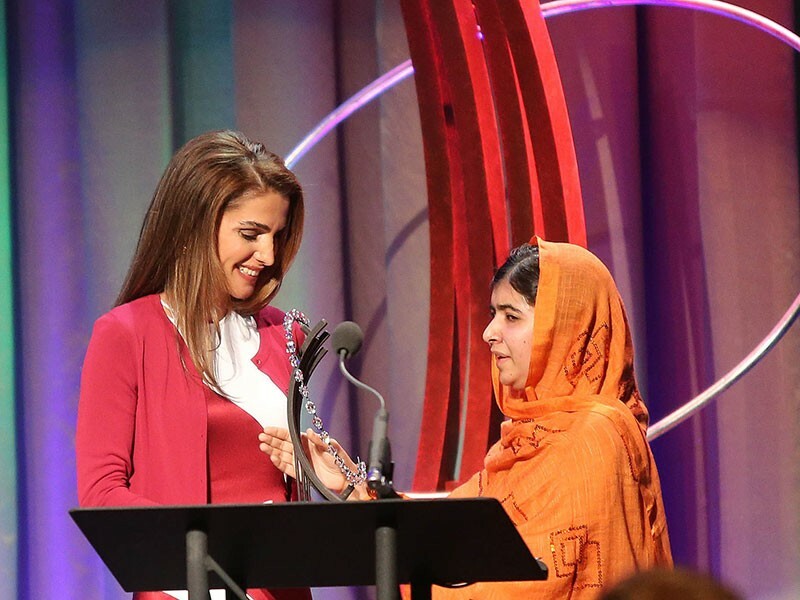 Ladies and gentlemen, it is my honour to present Malala with the ‘Clinton Global Citizen Award for Civil Society’. Please be upstanding for Malala.